Alternative Flooring is a modern company that produces carpets, rugs and runners that deviate from the norm, sitting apart from other more generic floor brands. Its flamboyant designs blend colour, geometric shapes, rock 'n' roll sensibilities and a cheeky sense of humour. Alternative Flooring offers flooring for bedrooms, bathrooms, living rooms, kitchens and stairs. 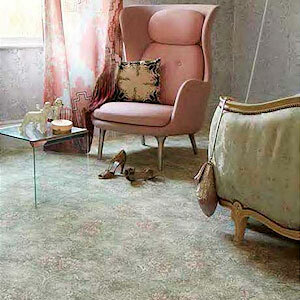 Its carpets, rugs and runners are the product of trend-defying alternative flooring ideas and solutions, and unusual alternative flooring materials. Its ranges include the Alternative Flooring Quirky collection, and the Alternative Flooring Sisal Boucle range, made from natural Sisal extracted in South America and East Africa from the Agave Sisalana plant. Vale Furnishers is proud to offer an extensive range of Alternative Flooring. Visit our specialist flooring department at our Ash Vale showroom, where you can browse a wide range of Alternative Flooring samples and speak to our floor and carpet experts about your alternative flooring ideas.